In my last post I wrote a list of things we planned to do with our week off, here’s what we decided on. Monday was mostly spent at home and at the gym. Ryan has a weekly training session on a Monday and I have an evening class so we planned around these and had pepperoni pizza for dinner. Ryan’s mum was admitted to hospital Monday morning after breaking her hip and leg; she’s doing OK, but has a 3 month recovery period to go through. We visited her throughout the week. 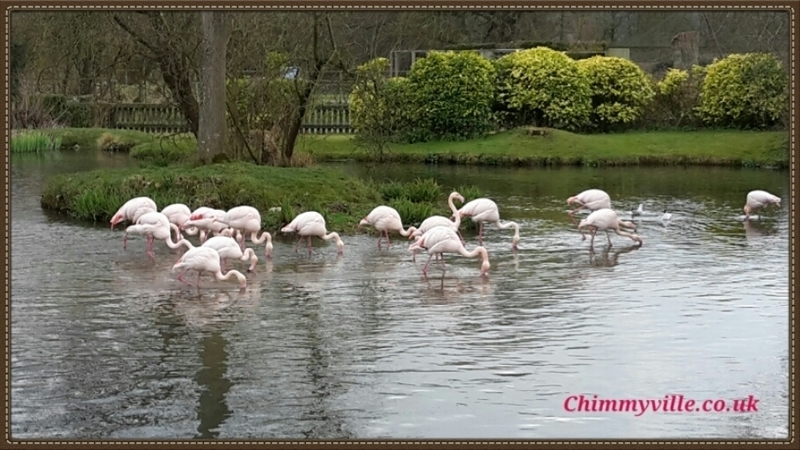 On Tuesday we went on a mini road trip around the Cotswolds and visited many local villages and small towns in the area. 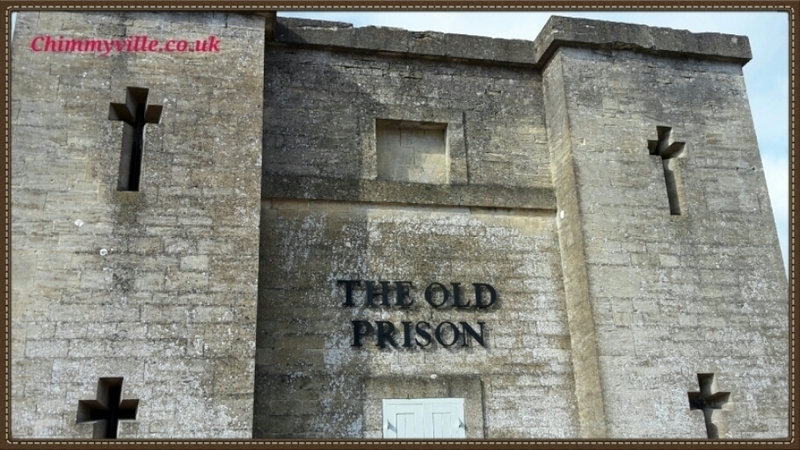 Theres so much to see and do, we travelled across three counties and had a little picnic in my car – the weather wasn’t great enough for eating outside. Lol. 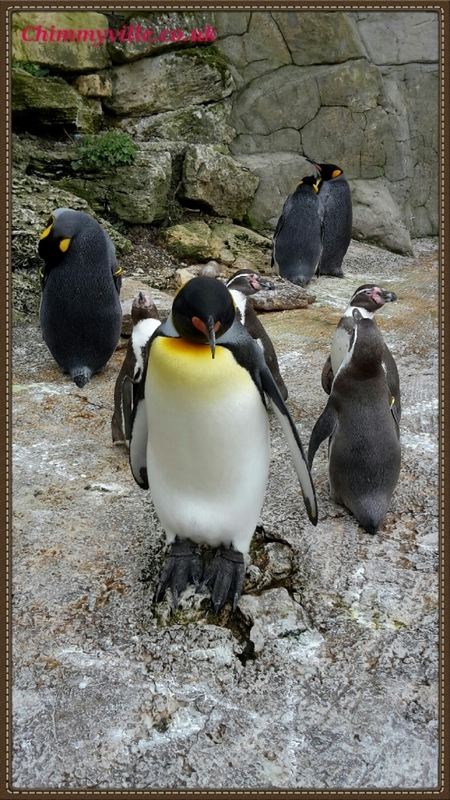 We spent Wednesday afternoon at Birdland, which is home to the only group of King Penguins in England, Ireland and Wales. We looked at the wide selection of birds they have there, including flamingos, macaws, owls and pelicans. 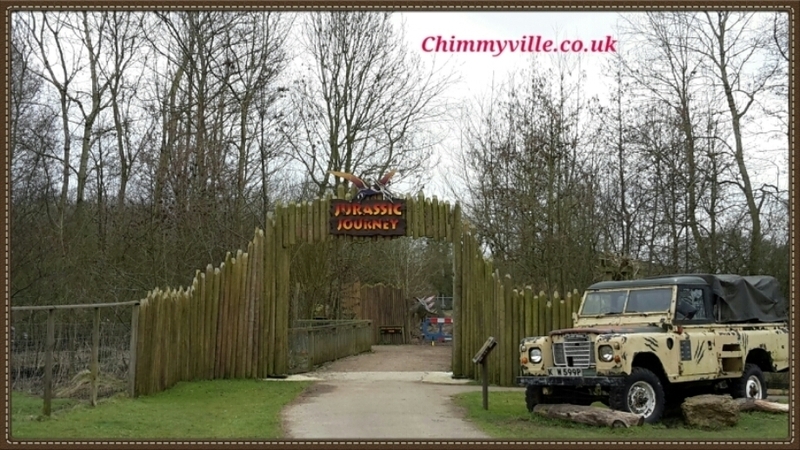 Towards the back of Birdland is the new “Jurassic Journey” walk, which talked about fossils and different types of dinosaurs. We watched the penguins being fed and the keeper gave an in length talk about them and the Humbolt Penguins that they also have there. Afterwards we went for a late lunch at a riverside café. Thursday was spent a little closer to home. We went to the cinema to see The Divergent Series: Alleigant and had pizza for dinner. The film was good (so was the pizza! 😉 ), but i still prefer the first film. It’s my favourite out of the three but I think the third part was better than the second. 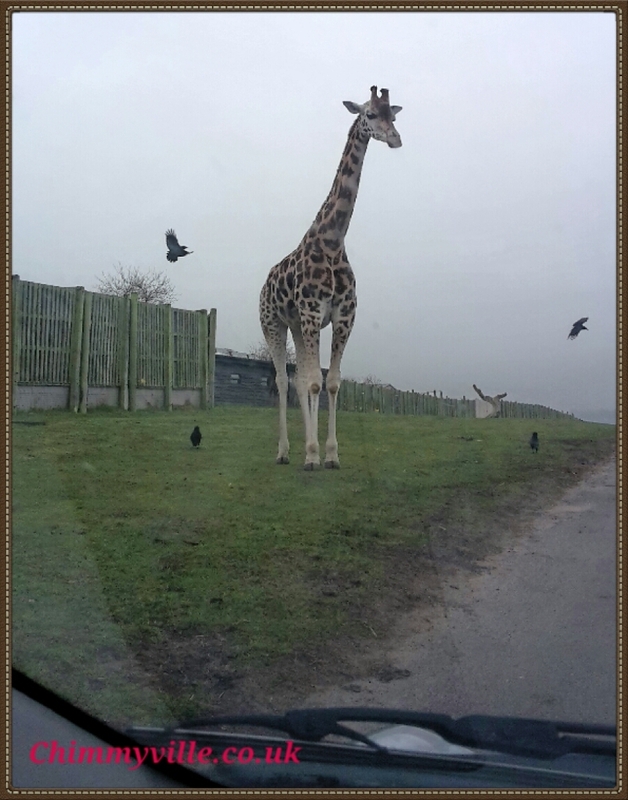 Friday was our trip to West Midland Safari Park which is about a two hour drive north from where we live. The weather was dry but it had gone cold, not too bad as we would be in my car for most of safari but it did get colder towards the afternoon. We were the first ones through the gates at the safari park and started off by going through the safari itself, I took loads of photos and was a little too excited by the giraffes and zebra coming right up to my window! I noticed some people feeding them but as we didn’t know you could we hadn’t bought the feed for them at the safari park shop. 🙁 There’s always next time! Our ticket entitles us to free return entry for the two of us so we’ll definitely look into feeding them next time. I did get to feed the Humbolt Penguins! I may have got a little over excited about it. 😉 My inner child was very pleased with me. We also saw the reptile and “creepy crawly” houses, the aquarium, hippos and a sea lion show. 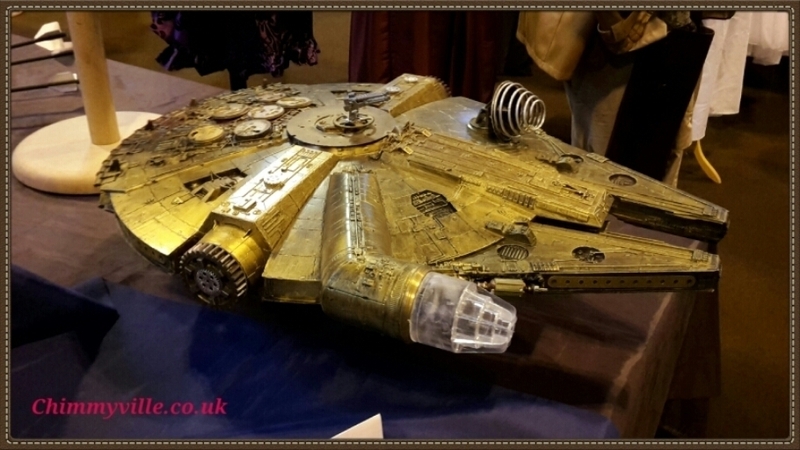 Saturday was another busy day at MCM Expo / Comic con in Birmingham, there were many stalls, some guests to meet and a steam punk section. I didn’t spend any money, which is odd for me at a convention. 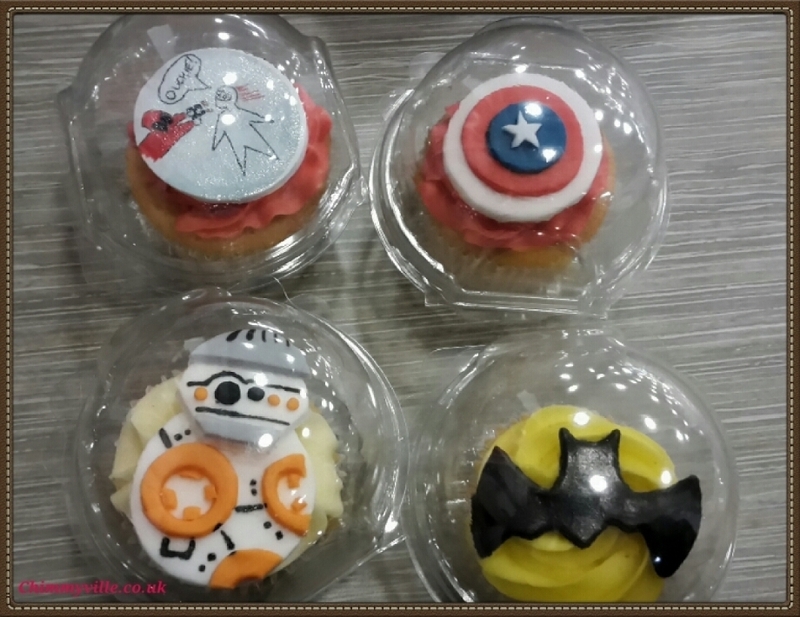 I think the only thing I came home with were these awesome geeky cupcakes that my mum bought Ryan and I. They’re by Emerald City Cupcakes and were delicious! 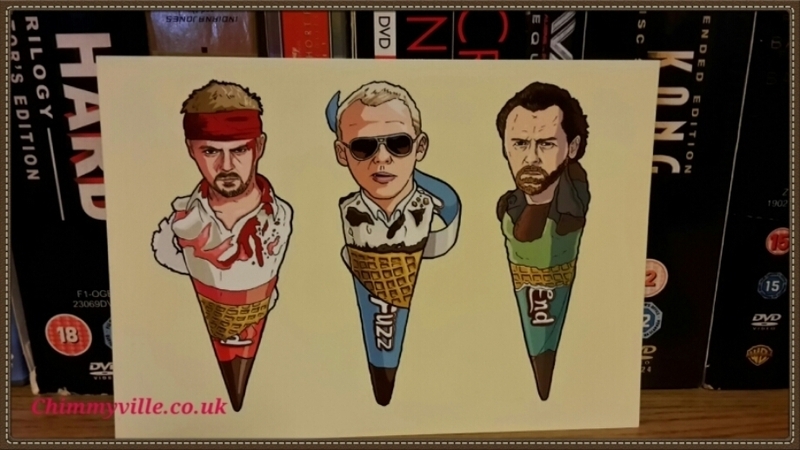 Ryan bought this postcard and a bunch of tshirts and graphic novels. All in all, a really great week but sad it’s over! We have another week off coming up in the second week of May, the week after my birthday and are hoping to go further afield. 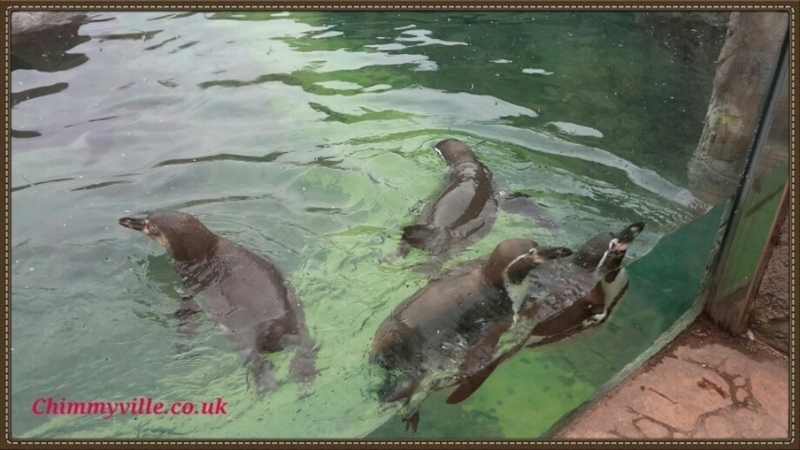 It’s very likely we’ll use our free return entry ticket to West Midland Safari Park that week and go there again. I’d love to go to Edinburgh Zoo and see see the other group of King Penguins in the UK as well as the Giant Pandas. We’re looking at transport options at the moment. Hahaha for a staycation, you certainly did A LOT of exciting things! I am a bit jealous lol. That safari would be so cool, especially if you’re allowed to feed them. Nice to have a return ticket. Have you read the Divergent books? I saw Allegiant too but wasn’t super thrilled. The first one is definitely the best of the series. Awesome cupcakes as well. So very creative. Did you meet any celebrities at that con? Never read the books, are they good? We met Andrew Lee Potts from the UK tv series Primeval. I swear Europe and England in specific has a beautiful and rich history, and PENGUINS! I love those birds, plus it looks like you had a great time! It sounds like you had a good time during your Staycation, I love doing “staycations” because there’s so many places I haven’t been to in England yet so I’d like to look around more before venturing off abroad.